The state’s largest 4/20 event will be back in Civic Center Park in 2018. 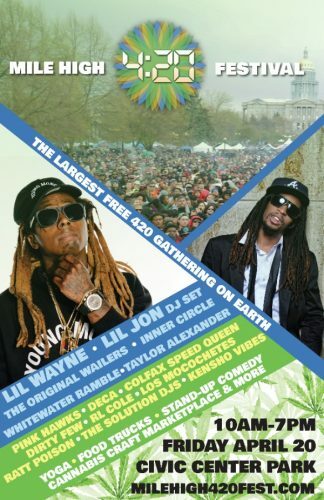 Headliners for the new Mile High 420 Festival include Lil Wayne (getting 4/20 redemption at long last), Lil Jon, The Original Wailers, Inner Circle, Taylor Alexander and bluegrass band WhiteWater Ramble, organizers announced Thursday. The event is the latest incarnation of Denver’s 4/20 celebration in Civic Center Park. 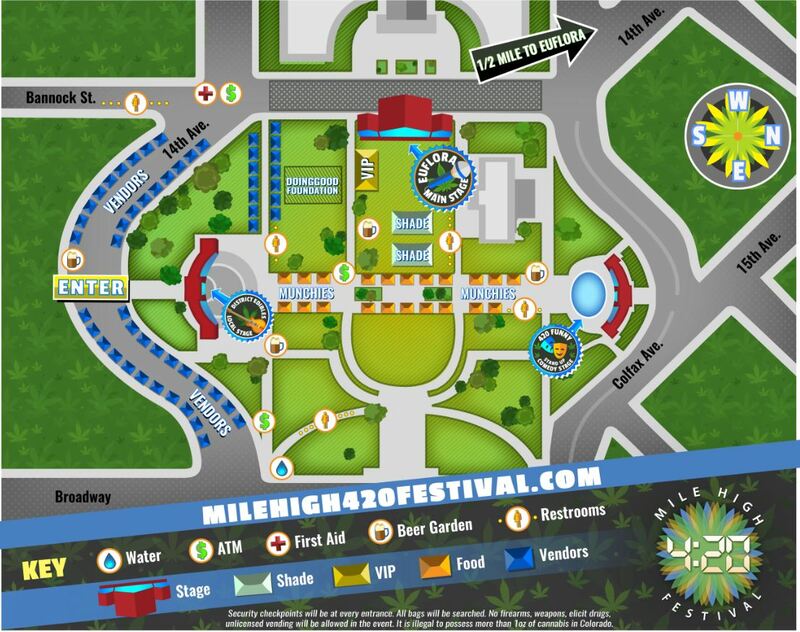 New organizer Euflora was a title sponsor of the 2017 rally, but has made a point to differentiate itself from past productions by branding the event as Mile High 420 Festival and promising it will be a celebration rather than a protest. In addition to the headliners, the festival will feature a stage with Colorado-centric bands as well as a “420 Funny” stage for comedy acts, according to organizers. The event will kick off at 10 a.m. and reach its pinnacle at 4:20 p.m. with a performance from Lil Wayne and Lil Jon, according to a press release. The free festival will also feature food trucks, vendors and a cannabis craft marketplace. The long-awaited announcement of the 2018 4/20 event follows a messy battle over the rights for the permit to operate a marijuana-themed event in Civic Center Park on April 20, 2018. 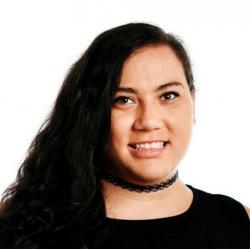 Previous event organizer Miguel Lopez was banned from hosting the event by the city after the April 20, 2017, event he spearheaded incurred multiple violations relating to aspects such as security, trash and unlicensed food vendors. Lopez also lost his “Priority Event” status with the city, a qualification given to a permittee who has run the same event at the same park on the same date, weekend or holiday for two consecutive years or more. Euflora co-founder Pepe Breton last October launched a long-shot bid to wrest control of the permit for the event. The company’s employees camped out for weeks in front of the city’s Wellington Webb building to be first in line when the city opened the 2018 permitting process, only to be “cut” in line at the last moment by Michael Ortiz, an associate of Lopez.